Neal & Amy Fraser’s Grace seems like so long ago; it’s been 4.5 years since the doors closed for good (I was at their final night). 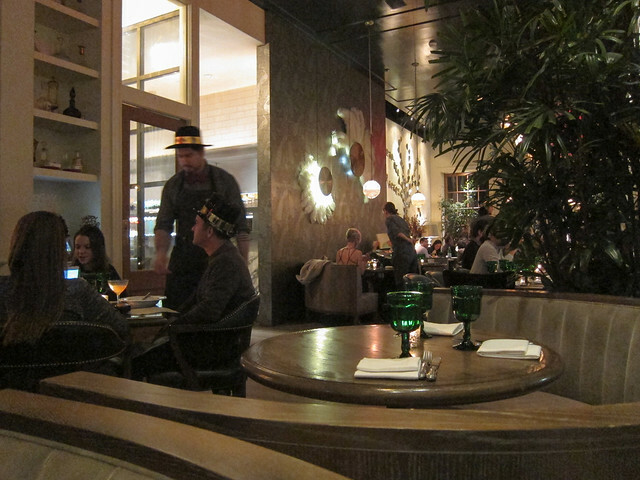 Two restaurant concepts (Playa and Petty Cash) have since replaced Grace on Beverly Blvd while Fraser’s Redbird faced delay after delay after delay. 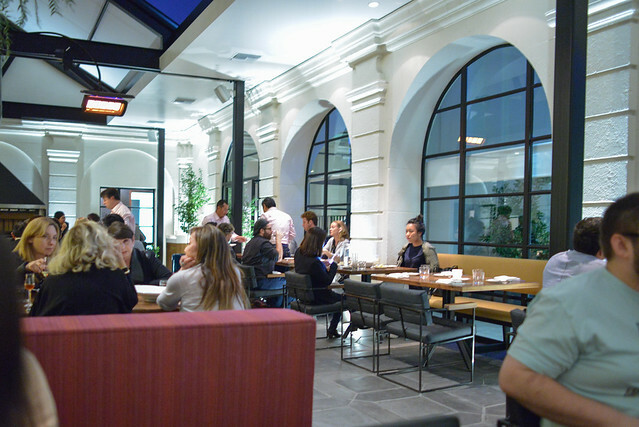 I remember years ago when this concept at the Vibiana was first announced in the “up-and-coming” downtown restaurant scene. Since then, downtown has certainly arrived and I think Redbird will make a great addition to the neighborhood. 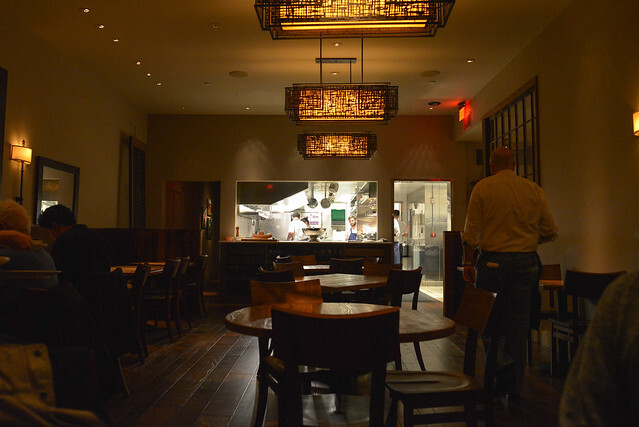 Redbird is serving new American cuisine in a beautiful space at the Vibiana. 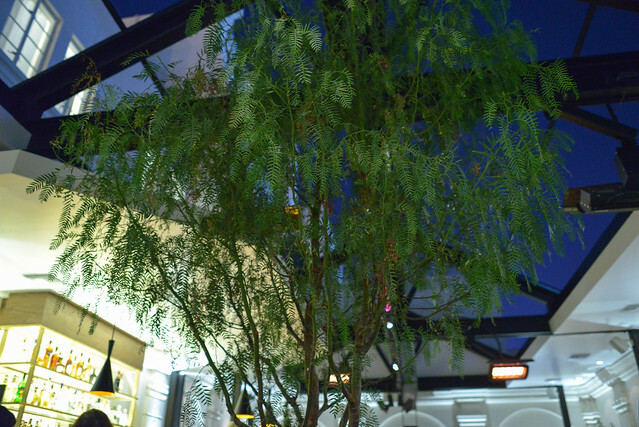 Large windows, a live tree, and an open-air “ceiling” make for a spot that almost feels outdoors; I think it’ll be particularly nice to dine here during summer evenings. I stopped in the previous week after an Art Walk stroll to get some of Julian Cox’s cocktails and a couple of snacks from the menu (chicken pot pie!). However, a full meal was definitely in order on this evening. For the past number of years, my cousins and I have taken my grandma out for a birthday dinner over the Christmas holiday. 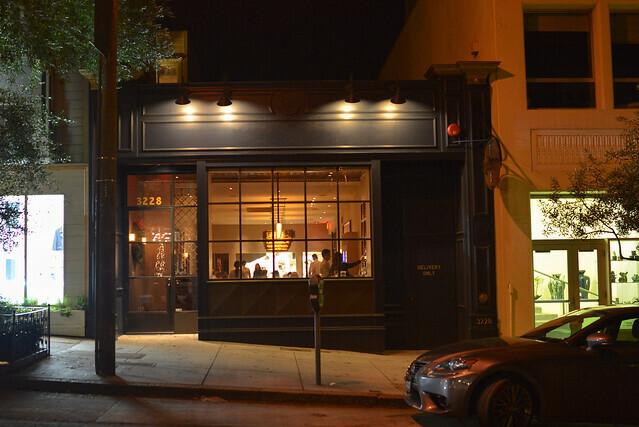 This year, we decided on a restaurant in close proximity to my grandmother, Stone’s Throw in the Russian Hill neighborhood. The new American restaurant has been a hit since opening just over a year ago and it would be a new restaurant for all six of us (except for one cousin who had visited previously). 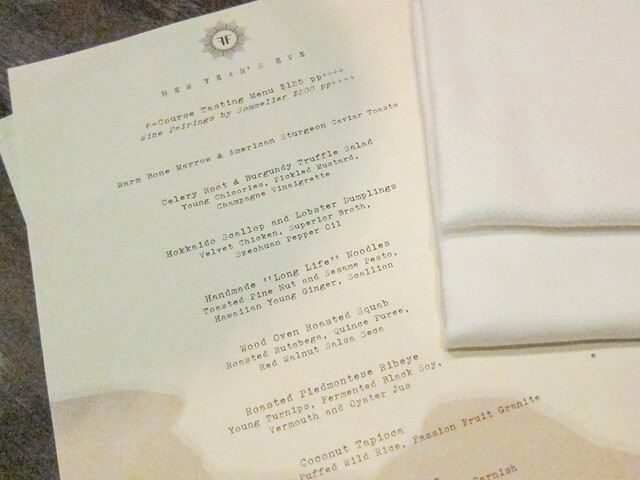 We ordered a number of small plates to share and each ordered a main course. Faith & Flower was one of my favorite restaurant openings in 2013 with its Asian-accented modern American cuisine and excellent cocktails. It’s conveniently (for me!) 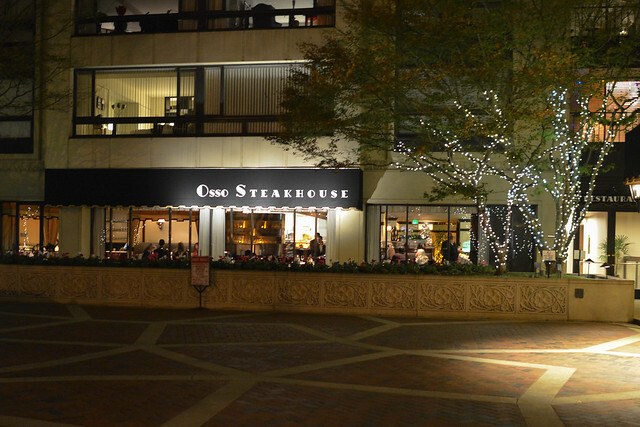 located downtown and has quickly become a go-to for me for a spontaneous spot for bites and drinks. 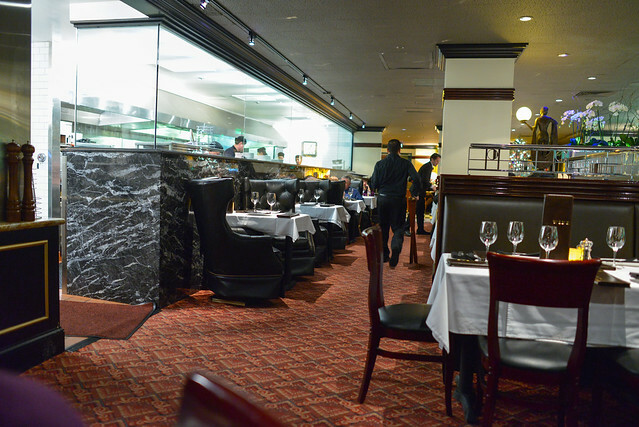 While I’ve actually only had one full dinner in the dining room here, each of times I’ve dined in the bar/lounge area has been good as well. 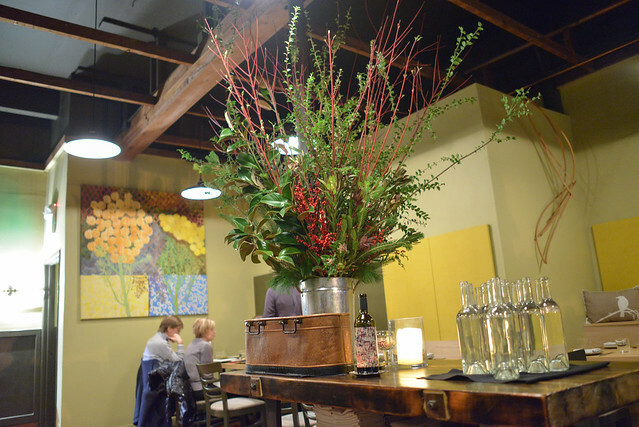 When looking for a local dining experience on NYE, Faith & Flower was the choice. 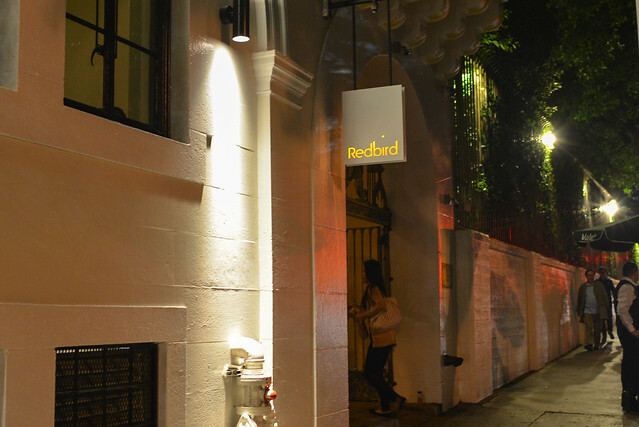 Special tasting menus were offered on this night with this one being $125pp inclusive of a champagne toast at midnight. All images on this post were taken with a point-and-shoot camera instead of my usual DSLR to stay mobile this evening. 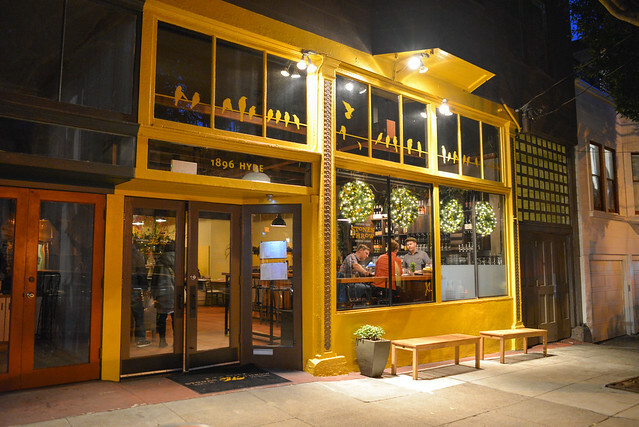 One of the most popular (if not the most) restaurants in San Francisco’s Chinatown is R&G Lounge. It’s been around for almost 30 years, but has gained more widespread fame/popularity in recent years as it’s been featured on TV (most notably by Anthony Bourdain on No Reservations). 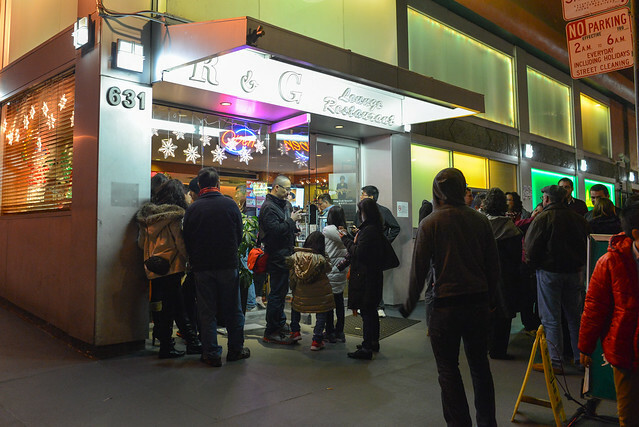 R&G Lounge frequently draws a line for dinner service, but it was a madhouse on Christmas Eve. 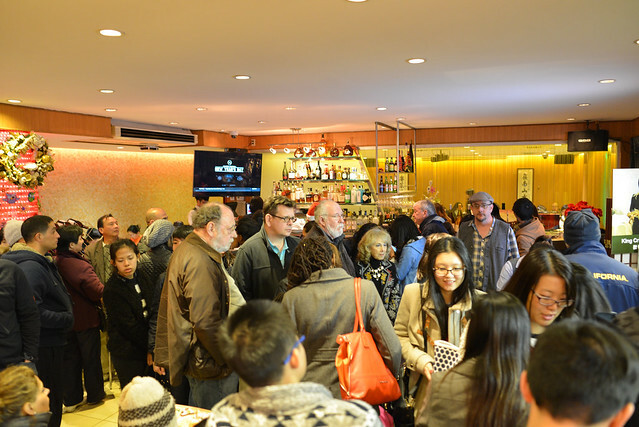 It was totally a cluster as the entire lobby was literally shoulder-to-shoulder, spilling out onto the street. Luckily I had made a 7:30 reservation, but our table still wasn’t ready until 8:30. I heard walk-ins quoted at 1.5-2hr waits, so the reservation did help a little.